This is Bigger Better and you dont want to miss it …..
Tonight, we will recognize those who have given of their time and talents to develop the spirit in our youth. the Patriot Award – “Scouter of the Year” from each unit We all have someone. 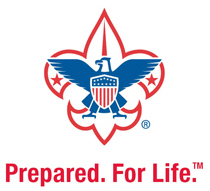 the Owl Award – outstanding service to Scouting. So many deserving people. Randy Marushak at 5839 Cove Road Laury’s Station, PA 18059. Please bring Scouting memorabilia or other items you’d be willing to donate for an auction prior to the meal (ie. Camping equipment, sports equipment, Blankets, snack basket, theme baskets,) Contact Robin.Ruch.scouting.org@aol.com or 610-849-6585 for additional info. Click here for the District Recognition Dinner flyer.